The Battle of the Somme resulted in the worst losses of British Army personnel during the First World War. On the first day of the Battle of the Somme in France in 1916, it is said that every street in Leeds lost one man. Almost 10,000 Leeds citizens were killed during the First World War. 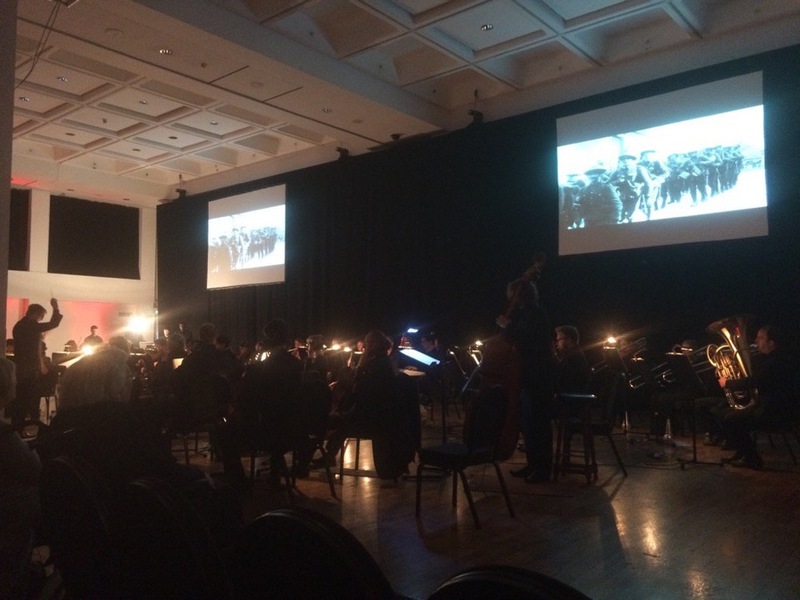 The Royal Armouries marked the centenary of the end of the battle of the Somme with a special live screening of The Battle of the Somme on Remembrance Sunday. 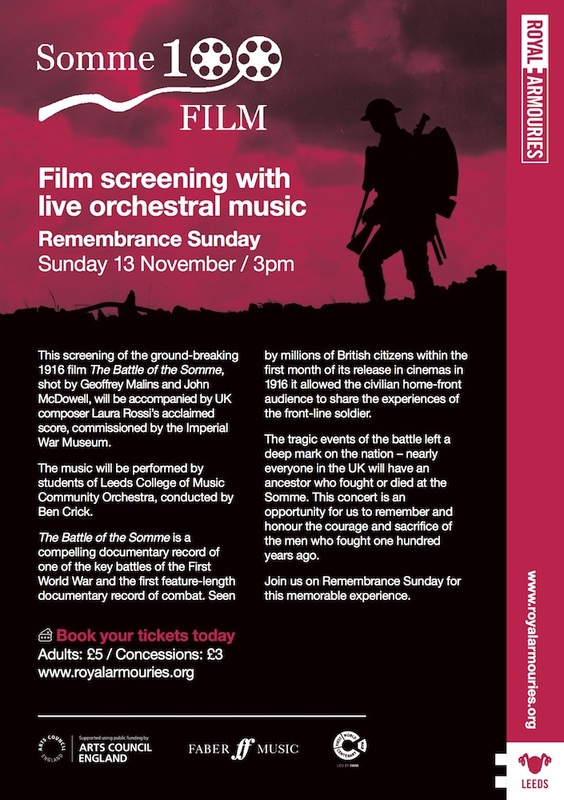 The music was performed by students of Leeds College of Music Community Orchestra, conducted by Ben Crick. Entry to the Royal Armouries museum was free with a ticket to the concert. A compelling record of one of the key battles of the First Word War, The Battle of the Somme was the first feature length documentary record of combat. Seen by millions of British citizens within the first month of its release in 1916, it allowed the civilian home-front audience to share the experiences of the front-line soldier. The tragic events of the battle, fought from July to November 1916 left a deep mark on the nation – costing the lives of soldiers from cities, towns and villages across the country.